A game with a secondary narrative beautifully executed and held secret till the end. ​​​Statement or Misstep is the series where we examine pieces of media with plots or messages that could be either considered interesting insights into controversial topics or idiotic attempts at being deep. 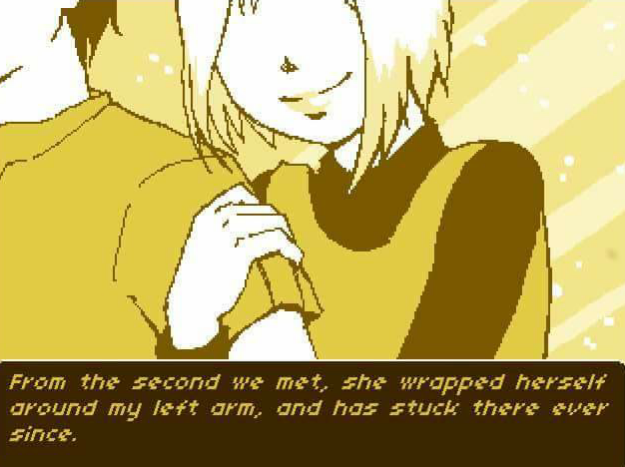 Some how a game managed to express a complex and often invisible relationship between those who perform self harm, the world around them, and their stress relief mechanism. To give away Air Pressure’s plot fully without giving a spoiler warning does it’s amazing narrative a grave injustice. So if you are someone that wants to experience it’s short but great story before we start, you can play the game for free here or download it for free straight from the creator here. 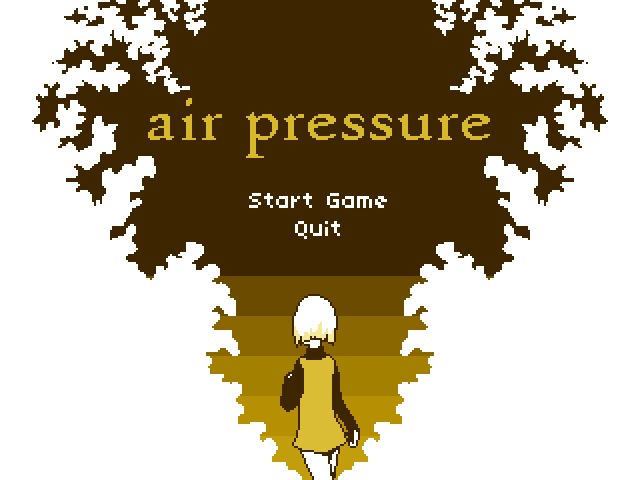 While the game presents itself as a man dealing with a overbearing but very alluring and loving girlfriend, Air Pressure has a deeper story. A hidden narrative that once the game ends and you have realized what you experienced, you have to replay to see if you can spot the clues to the ultimate truth. Cause as much as Air Pressure tries to present that it’s just a day your girlfriend is attempting to nag you and yet embrace you, for you to take her out on the town if you try to leave, that you shouldn’t avoid her touch. The actually realization is… She isn’t real. She is the embodiment of your long relationship with self-harm. Self-harm is deliberate harm of one’s self by either pulling hair, not eating enough, purposefully digesting hazardous materials, and various other habits with the most discussed and noted form being cutting. We met while I was in high school. From the second we met, she wrapped herself around my left arm, and has stuck there ever since. That is skillful allusion that the game player wouldn’t get until the end of the game. You are being presented with a serious and personal topic in a manner that is familiar and common. You are being told she can be clingy but it is actually him fighting the urge to not harm himself for long periods of time. You are being told she tries to force her embrace but it is actually him dealing with something that he has faced since high school. Her urging the character to stay home all day with her is the character indeed contemplating to once again cut and forget the outside world. You are being presented with one story while unknowingly experiencing another. That is brilliant expression of a sensitive topic that many people don’t realize some suffer with their whole life. If it is not clear by now, I will just say it. This game is a statement to me. A beautiful art piece in it’s own right that I can go on and on about all the different hints and clues to the “girlfriend’s” true form. 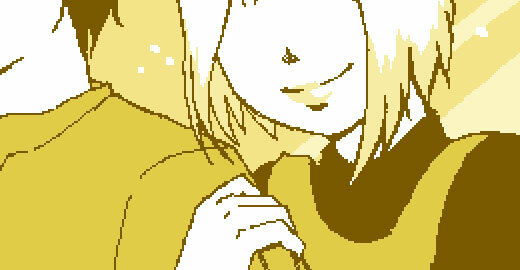 I am fighting the urge to show images from the game’s endings but know it is worth seeing for yourself! I forget I try to keep this segment short (because I’m use to usually dealing with games that just boggle the mind at how tasteless they are). Game creator Bento Smile has created a game with some of the strongest story elements I have ever seen. Wording a mental illness as a abusive relationship you just can’t escape might come off as cliche to some, but here it’s near a masterwork in the context of this story. With the game’s three choice based endings, it paints a unique set of events that I think I will be revisiting whenever I am in the mood to see the emotion a indie game can have. I originally played this game not to long ago as it was releasesd in 2010, but I wanted to present it as how to do sensitive subjects right. Next time? 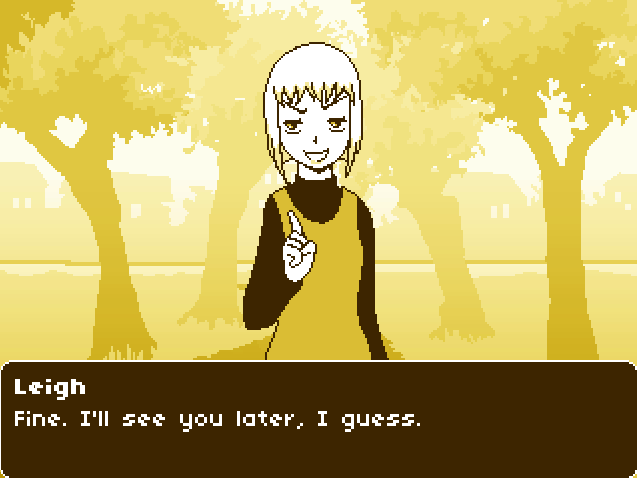 A game that thinks it is being deep in regards to domestic abuse victims.